Having a new baby is more than likely the most exciting experience you will ever have in your life. Nothing in this world compares to that moment when you lay eyes on your precious little bundle for the first time and realise that somehow this amazing little person is yours! Having professional portraits taken at this stage, when your baby is still tiny & brand new will help you to always remember this special time, when your baby has outgrown his first onsies or when she lets out her first heart warming giggle, you will have these very first portraits to remeber just how tiny your little baby was. 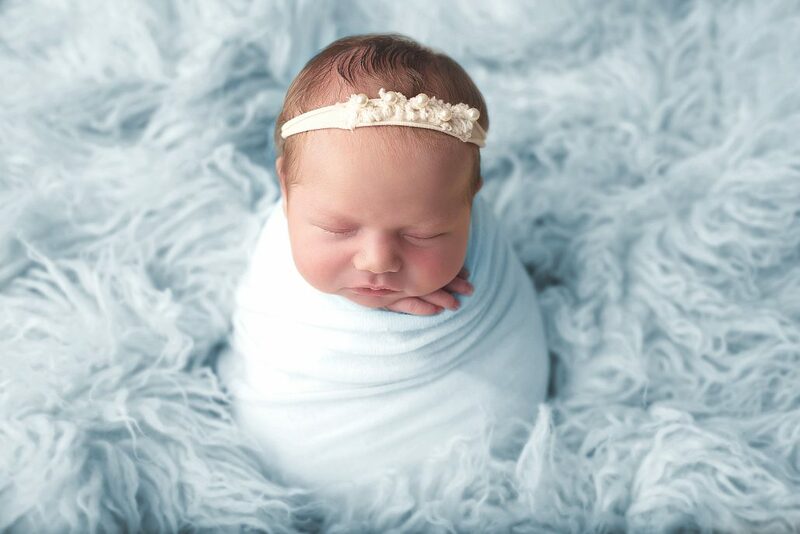 When should I book my newborn photo session? Do you have a seperate session fee? On average a newborn session lasts 3 hours, although sometimes I am finished in 2 hours or other times it may take 4 hours. It all completely depends on baby. All of my newborn sessions are baby led, allowing plenty of time for feeding, soothing, changing and cuddling! I only ever book 1 newborn session per day so that we never have to feel rushed. 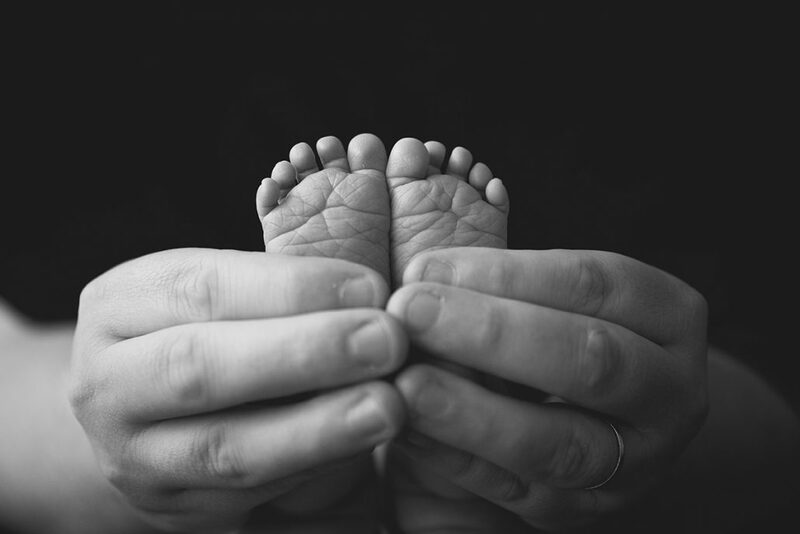 When is the best time to come for a newborn session? Newborn sessions are best within 14 days of baby being born, with days 5-10 being the most ideal. The reason for this is that at this stage most babies are still sleepy and more settled which allows me to achive those typical curled up newborn poses! As the weeks pass your baby will become more alert and have longer awake periods during the day time. How many images will you edit? Do you take family images at the session? When do I get to see the edited images? Pack for your session as you would for any other outing with a newborn. So changing bag with spare nappies & wipes, a dummy if you dont mind using one for the few hours your at my studio (a completely personal choice but very helpful for settling baby) extra bottle of milk if your bottle feeding, some snacks and drinks to keep your energy levels up and wear loose layered clothing, My studio will be kept pretty toasty to ensure baby is comfortable at all times.